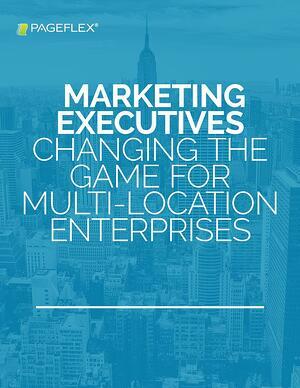 Get Marketing Executives Changing the Game for Multi-Location Enterprises Today! In the age of hyperlocal personalized marketing, marketing executives at major enterprise brands are finding it more and more challenging to make an impact. Enterprise-level marketing has become significantly more difficult, and marketers in every industry are struggling to find ways to present their brands in ways that feel authentic and that will help them build customer loyalty. But it's not hopeless! There is a lot of great enterprise-level marketing being done. We've taken a look at three top marketers at major brands who are doing innovative work and making a big difference. Ready to get inspired? Fill out the form to get your free copy of Marketing Executives Changing the Game for Multi-Location Enterprises immediately.